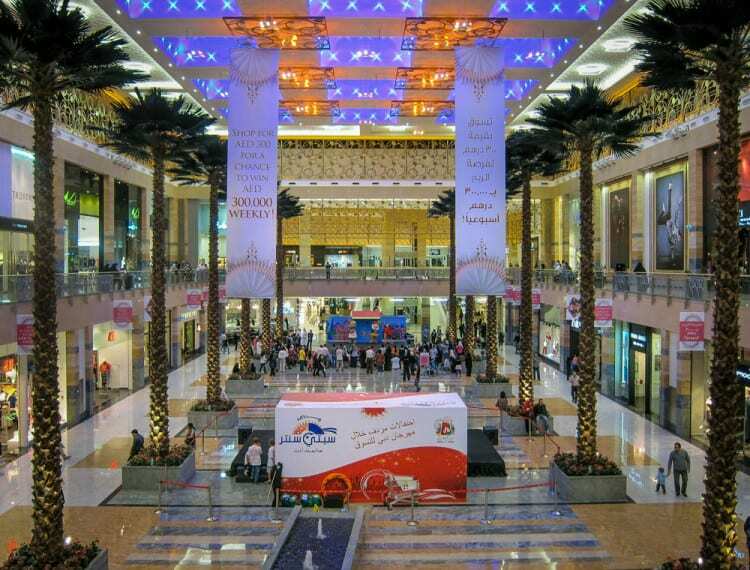 The City Centre Mirdif is a large shopping mall in the Mirdif area of Dubai. Unlike many other large malls in Dubai, it has been designed to appeal to the local community rather than visitors. 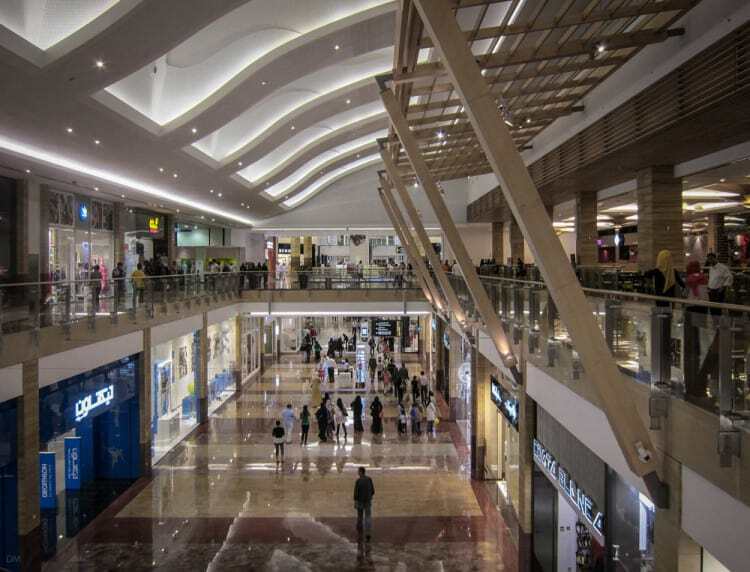 It offers over 400 stores, a cinema, entertainment centres, and a good selection of restaurants and food and beverage outlets. Anchor stores are Carrefour, Centrepoint, Crate & Barrel, Borders, Debenhams, Decathlon, Emax, Hamleys, Home Centre, Jashanmal, Pottery Barn, and Paris Gallery. Centrepoint is an 85,000 square feet store on the ground floor and is home to the four Landmark Group’s brands; Shoe Mart, Splash, Lifestyle, and Babyshop. Shoe Mart sells inexpensive shoes for men, women and kids, plus accessories such as belts, luggage, bags, and jewellery. Splash offers contemporary fashion from both internationally recognised brands and in-house designers. Babyshop caters to babies, toddlers and children and stocks toys, clothes, prams and pushchairs, nursery and bedroom furniture. Lifestyle sells a wide range of products such as home furnishings, bedding, lighting, and gifts. Decathlon is a large sports retailer offering a comprehensive range of products ranging from golf clubs to scuba diving equipment. In addition to stocking all the main international brands it is one of the few sports retailers that develops its own products. The store is located on the ground floor. Hamleys is a world-famous toy retailer. Their store at City Centre Mirdif was their second in the UAE (the first was at the Dubai Mall). The 22,000 square foot store stocks a massive range of premium toys and also offers regular workshops and activities, plus events where children can meet their favourite cartoon characters. The store is situated on the first floor, near the North Food Court. Paris Gallery is the leading luxury goods retailer in the Middle East and offers a huge range of fragrances, cosmetics, watches, and fashion accessories. Carrefour is a massive hypermarket on the ground floor of the City Centre Mirdif. In addition to groceries and household products, it also stocks clothes and footwear, toys, furniture for both home and garden, carpets and rugs, bags and suitcases, home appliances such as fridges and dishwashers, car accessories, plus an extensive range of electronic equipment including TVs, mp3 players, radios, mobile phones, games consoles and laptops. Emax is one of the largest electronic retailers in the Middle East. Their ground floor store at City Centre Mirdif offers a wide range of products such as mobile telephones, digital cameras and camcorders, computers, DVD players, home theatre systems, games, satellite navigation systems, plus domestic appliances like cookers, dishwashers, freezers, washers and dryers, and microwave ovens. 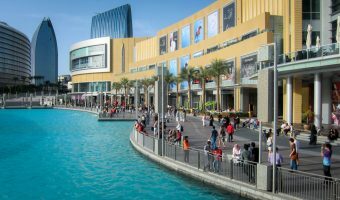 The City Centre Mirdif also boats a good range of activities and entertainment options. Most are located on the first floor. VOX Cinemas (formerly known as CineStar) is a 10-screen multiplex cinema showing all the latest films. Mirdif City Centre also boasts Magic Planet, a large leisure and entertainment area with numerous different experiences. iFLY Dubai is an indoor skydiving centre. It allows people of all ages to experience the thrill of skydiving in a controlled environment. The attraction features two flight chambers; giant vertical wind tunnels with powerful turbines that generate a column of air that travels up to 200 kilometres per hour. Experienced flight instructors provide tuition before the flight and accompany every skydiver into the chamber. Flying packages are available for all levels of ability from beginners to experienced flyers. All equipment, clothing, and locker rentals are included in the price. Sky Trail is an aerial obstacle course high above the floor of the mall. Although it looks extremely scary, participants are securely harnessed to a guide system. Yalla! Bowling is a tenpin bowling alley with 12 fully automated lanes. City Centre Mirdif boasts a great selection of restaurants and places to eat and drink, although none are licensed. There are two food courts, both on the first floor. The North Food Court is situated near Hamleys. The South Food Court is at the opposite end of the mall, near VOX Cinemas. Information desks are located on both floors of the mall and offer maps and store guides, event and transport information, gift vouchers, and more. Other facilities and services at the mall include toilets, baby changing areas, and prayer rooms for men and women. Numerous ATMs are dotted around the mall. Many banks also have branches here. City Centre Mirdif is open 7 days a week. Store opening times are 10 am to 10 pm Sunday to Wednesday, and 10 am to midnight Thursday to Saturday. 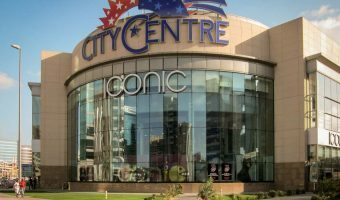 City Centre Mirdif is located at the junction of Emirates Road and Tripoli Street in Mirdif, a residential area south east of Dubai International Airport. Free parking is available for 7,000 vehicles. Valet parking and car washing services are also offered. There is no Metro station at City Centre Mirdif. The nearest station is Rashidiya Metro Station on the Red Line. Regular feeder buses run between the station and the mall. Taxi drivers should have no problem finding the mall. There’s a designated taxi pick-up and drop-off area immediately outside the main entrance. Map showing location of City Centre Mirdif. Ramadan timings in 2014 for the shops are Sunday to Saturday 10 am to 1 am. Restaurants are open 10 am to 2 am. The mall has good parking and few tourists. It’s a good place for residents. The shops are pretty much the same as the other malls in Dubai. The mall is lovely with plenty of natural light and an easy to navigate layout. Playnation for chidlren is amazing and the food courts have a good variety of restaurants (try Duck King, Tiffin Bites, Sugar Daddies) . Some of the shops at the mall are the only branches in the UAE ( Pottery Barn, Express, American Outfitters, etc). Great place for a shopaholic like me! We want to go there by public bus. But RTA said no bus is stopping there from International City. It’s very near our accommodation so I hope there will be a bus stop in the next coming month. The mall is great news, especially for those who come from RAK and SHJ. I hope it’s as nice as MOE and Dubai Mall. Don’t worry, we have an entire concept called ‘PlayNation’, which is an extension to the the Magic Planet idea in Mall of the Emirates. Also you have the first Sky Diving Simulation coming up in this mall. Hi I’m Adam and I live in Mirdif and I’m 13 yrs old. Mirdif can get very boring (especially in the summer) and it will be great to have somewhere to go. With the cinemas and all the shops I hope there will be loads to do. But remember developers you have a children’s centre and shops for adults. What is there for my age? Can i suggest an arcade? Cinema listings and times for VOX Cinemas at City Centre Mirdif. 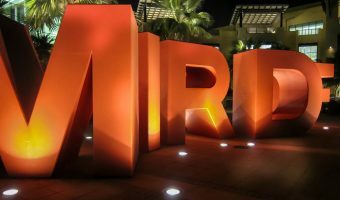 Guide to Mirdif, a popular residential community near Dubai International Airport. Includes details of real estate, shops, things to do, schools, and an interactive map. The Sky Trail aerial obstacle course at Mirdif City Centre.